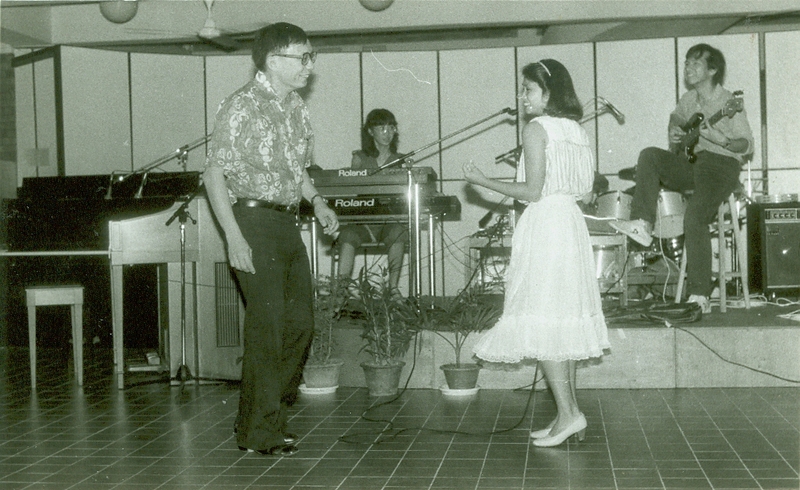 A family that plays together: Enjoying a holiday in the Philippines in the late 1970s. One might say this is Lawrence’s mantra for life, and it sets the tone for the kind of dad and father-figure he is to many, at home and abroad. 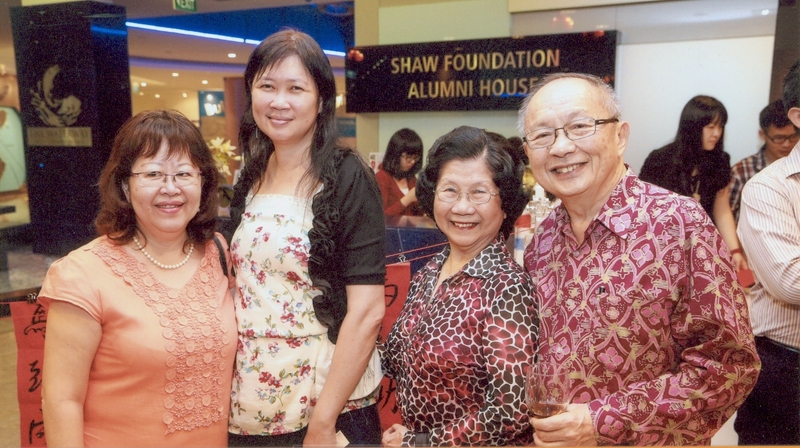 You might have seen his face or name in academic publications, or have been under his watch as a student of Sheares Hall (previously Dunearn Road Hostel), or at Anglo-Chinese School (ACS) over the last 40 years or so. For someone who thrives on change and activity, even though he is semi-retired, Lawrence’s many accomplishments and accolades speak of an incredible zest for life and boundless energy, while a twinkle in his eye bears testament to his inclination to always push the envelope and reach a little higher. As a people-person at heart, he bears a strong conviction about providing the right environment for nurturing growth, serving as a coach and role model to his colleagues, subordinates and students alike, with a good-natured charm, gentle manner and a kind heart. Lawrence credits his family for their unwavering support. He and his wife, Pek Choo, have been happily married for 48 years. They have two daughters, Marion and Ruth, and three precious grandchildren, aged 13, 12 and 11. Here he shares with Dads for Life some insights on how he sets the stage for others to bloom where they are planted. For Lawrence, the most important skills in life are to listen and ask good questions – whether as a father, husband, boss, colleague or friend. These are also the prerequisites of a good coach. When his girls were young, friends would ask if he employed any special techniques in teaching them because they seemed wise beyond their years. His frequent reply: “I don’t really teach them anything. I listen to them and try to answer the questions that they ask. Everything that is relevant to that young mind is important.” According to his experience, children and young people are already naturally curious and ready to discover. All too often, it is us adults who are too inhibitive or myopic. Up for the challenge: Lawrence very reluctantly but gamely following a student onto the dance floor – his first and only time in over 33 years as a Hall Master! He often employs a listen-and-ask method with his staff and students, and even his own children. First, he listens to the issue at hand. Then, instead of doling out an answer to their problem, he asks them bite-sized questions to help them think through their own solution to that problem. This allows them to truly own their process of learning and growth. In this sense, he seeks to be a coach-mentor in their journey, instead of a teacher or boss who “knows it all”. Those who have come under his care during his term as the principal of ACS fondly remember him as one who was always seeking to bring out the best in people. His firm belief is that no one is beyond hope, as long as they are willing to face the truth and commit to change. After all, “nobody is perfect,” he says. To this man, failure is really just a stepping stone to success, provided you learn from the experience. Lawrence readily agrees that today’s families face different sorts of pressures from his time, with most parents being in the workforce. Still, fathers need to own their role as protector, and not just be a provider. Men need to step up to lead their family, and to realize their importance in coming alongside their children to coach them and instill values that will last. Most of the values we hope our children will pick up also start from home. 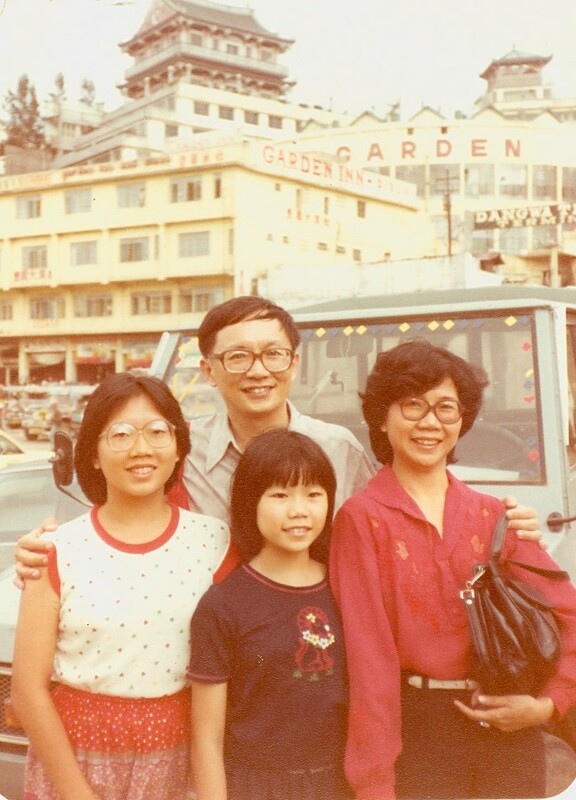 Lawrence shared how he felt a deep sense of fulfillment when he learnt, a few years ago, that one of his daughters had quietly donated a sum of money to a school for intellectually disabled children, to build a resource room. Somehow, the years of modeling a generous outlook and spirit of giving had caught on. Precious memories like these continue to remind him that whatever sacrifice he has made as a father is all worth it. Christmas dinner: A time for family to feast together. Lawrence cites busyness as a key issue for many Singaporean families. Time is an essential component of the coaching process. Though he intentionally carved out time to spend with his children daily during their growing up years, Lawrence has some regret not giving his children even more of his time during their childhood. These days, he loves spending time with his grandchildren and playing with them. In some ways, they are his way of making up for lost time, but this time as a grandparent.